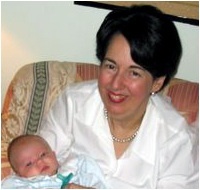 My Mom, Louise Batz, died from a preventable medical error after recovering knee surgery. Mom went into the hospital for knee replacement surgery. This was not emergency surgery. She had planned the surgery so she would have enough time to heal and be ready to welcome the arrival of her fourth grandchild. After a couple of hours in the operating room, the doctor came out and told us everything went great and the surgery was a success. I cannot tell you how relieved we all were, especially my Dad. He had been a nervous wreck. The hard part was over now. Mom was on the road to recovery and focused on getting her new knee in shape. Like a lot of patients after surgery, my Mom was on patient-controlled analgesia (PCA) to manage her pain. Sadly for my Mom, she was not monitored continuously by pulse oximetry for oxygenation or capnography for ventilation once she arrive on the general floor. This monitoring would have alerted the nursing staff caring for my mom when she got into trouble. My Mom went into respiratory depression and suffered from anoxia to the brain. She died 10 days later. It was devastating to us. What is worse is that there are five doctors in our family. You would think we would have been prepared. (For the complete story, please click here). Moreover, patients and their families trust that nurses, doctors, and hospitals are properly prepared to deal with all situations. Unfortunately, this is not always the case. In honor of the memory of my Mom and with the desire to ensure that no other family has to suffer the way we have, the Louise H. Batz Patient Safety Foundation was established. Although there are great benefits to the use of PCA pumps, there are also risks. To decrease these risks, I would encourage all patients after surgery to be continuously monitored during their stay.